The NSW Supreme Court has finally ended a stalemate which has been locking up residential land at Argenton and preventing landowners from building their homes. There's only one party here that I've been primarily concerned about and that's the people who purchased properties in good faith but ended up losing a lot of time and money and had their dreams severely impacted. Hopefully this judgement will allow them to get on with building their homes. I've always believed personally yhat Bunderra Holdings had the better moral and legal argument, so I'm not surprised by the judgement. It's now up to all the parties concerned to abide by the court's ruling and get on with it. I've sent a letter off to the council today asking for advice on what further implications the court ruling has, and how things might be advanced more quickly. The Bunderra landowners caught up in this mess through no fault of their own deserve nothing less. A DEVELOPER ordered to build a “pipe to nowhere” on former Pasminco smelter land at Boolaroo because of an awkwardly-worded Lake Macquarie City Council condition of consent has won an appeal against the decision. Three NSW Court of Appeal judges upheld Bunderra Holdings’ appeal against an earlier NSW Supreme Court decision requiring it to build a major drainpipe beneath Main Road, although the drain is only required if Pasminco develops a subdivision above the 90-lot Bunderra site. from the Pasminco and Bunderra sites into Cockle Creek, and ultimately into Lake Macquarie, the appeal court judges were told. In December a Supreme Court judge ordered Lake Macquarie City Council not to issue a construction certificate to Bunderra after accepting Pasminco’s argument that the pipe had to be built, even though Pasminco has not developed its site above the Bunderra land. But appeal court judges Ruth McColl, Mark Leeming and Anthony Payne accepted Bunderra’s submission that the Main Road drainpipe would not connect to any stormwater structure on its subdivision “unless and until” stormwater structures on the Pasminco site were designed and constructed. “Until that time… as Bunderra submitted, it will be, in essence, a ‘pipe to nowhere’,” the appeal judges found. “The fact that it serves no practical function until the (Pasminco) site is developed underscores the conclusion that it was not a responsibility which would be expected to fall on the owner of the (Bunderra) site. Justice Leeming described the condition of consent that contributed to the launch of court action as “awkwardly drafted”. 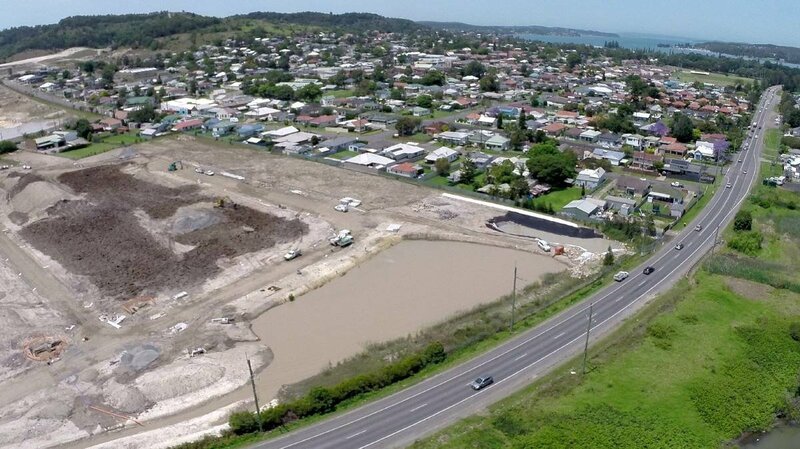 The court noted Pasminco had not yet sought council approval for stormwater structures on its development site above the Bunderra Holdings site. The court found it was open to the Supreme Court judge to find there were “substantial issues with flooding” on the Bunderra site, but accepted a Bunderra application to appeal that finding after the company submitted there was a “relevant distinction between flooding and being affected by stormwater”. The Bunderra Holdings development covers nine hectares of the 163-hectare Pasminco site.